Donna's Crafty Place: Life's A Beach! 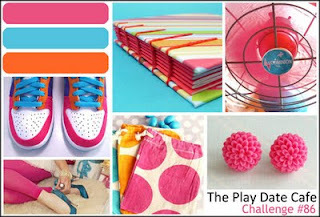 I made this card for this week's The Play Date Cafe Challenge #86. I love the colors this week and I wanted to use this new Impression Obsession set so I thought I would use the beach ladies for this one. I wish I was with them right now sitting on the beach watching the ocean!! Thanks for taking a look! 6. Adhere circles and scallop circles together with foam tape and adhere to card. This is just so adorable. It is so cute I had to remind myself you had already entered your other fab card in the challenge! Love the colors and the design! Gorgeous Summery card! (sadly we are in the middle of Winter... but the Sun is shining here). Great use of the colour inspiration from PDCC! Fabulous image and oh, so fun card! Great job with our colors, they're arranged perfectly to be so pleasing to the eye! Thanks for playing along with us at the Play Date Cafe! OHH! What a fun image! I love that image!! I cannot wait to go to the beach this weekend:) THANKS so much for playing along and joining in the fun over at the PDCC!! !